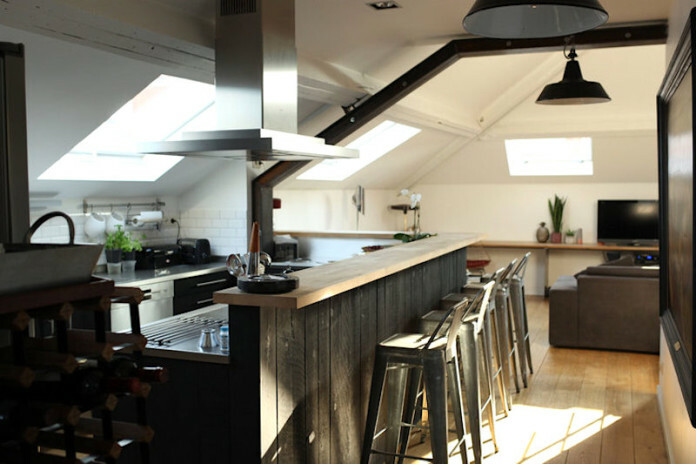 Experiencing a throughout renovation, this 30 sqm. 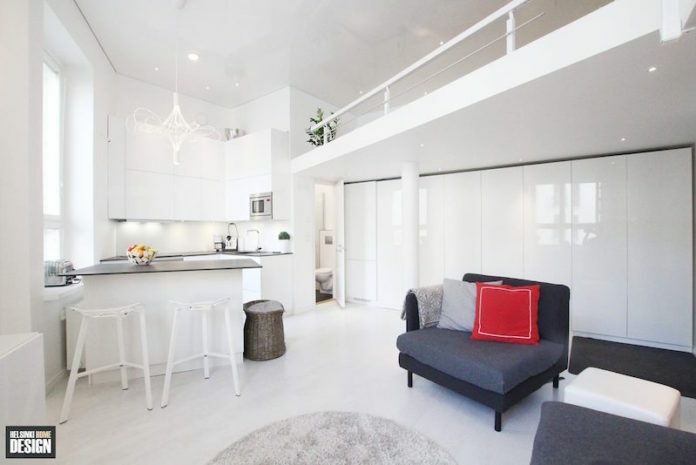 sized apartment got a bright white layout with a glossy apartment wide ceiling surface. 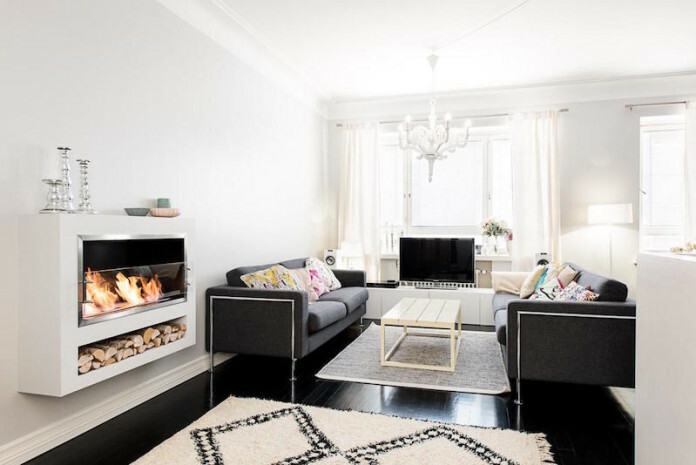 Elegant nordic style apartment with an open floor plan and spacious rooms offers sophisticated living space in the heart of the Helsinki city. 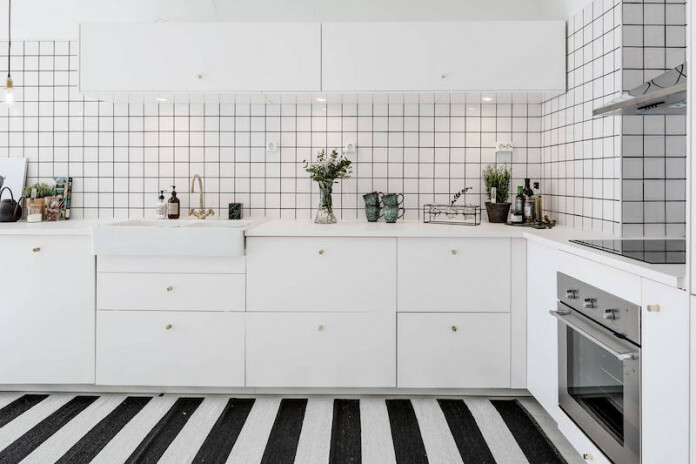 Stripes, grids and catchy decor details give this Scandinavian style kitchen a fine-tuned look, yet keeping the overall light and clean style. 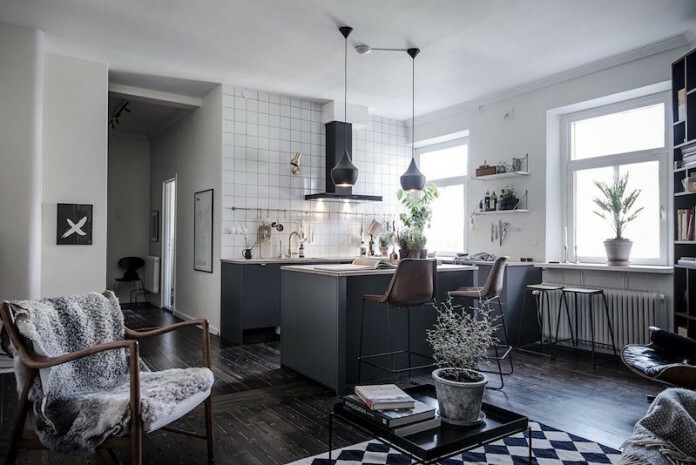 Black wooden flooring in the living room gives nice contrast for the bright white walls and ceiling of this Scandinavian style apartment in Sweden. 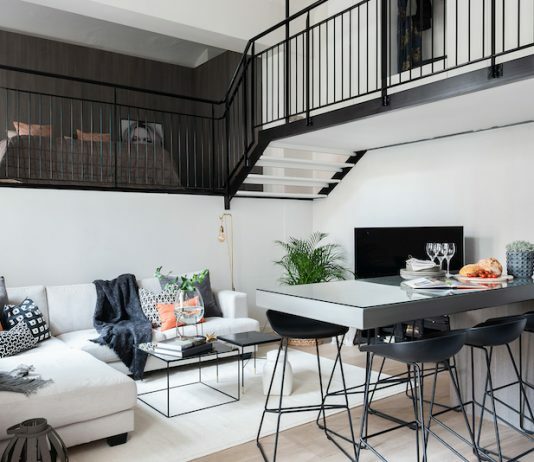 GH Mild apartment by Archetonic, is an comfortable feeling home, designed for a couple that wanted to keep the future plans open, considering the layout of the apartment. 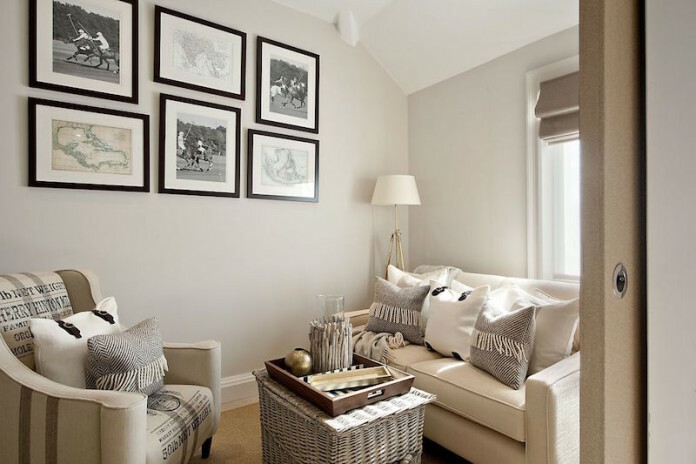 Cadogan Gardens is a great example how small things and carefully designed pattern can create a great overall result when it comes to home decor. 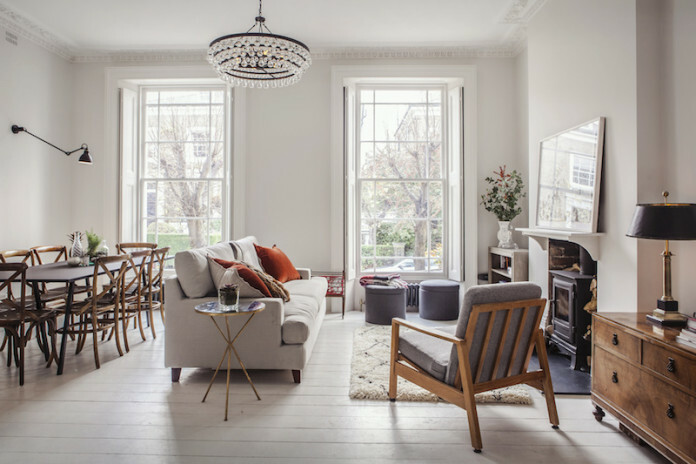 The youthful eclecticism and bright Scandinavian style creates an interesting interior design for this cosy and comfortable, yet elegant family home in London. 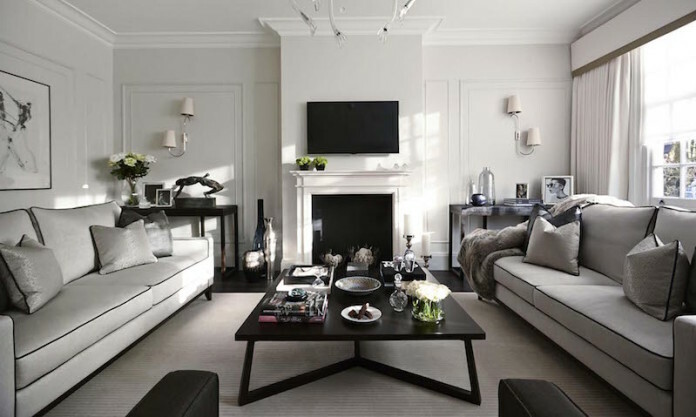 Penthouse in London showing a perfection of a contemporary house style spiced with interesting details, material choices and rich textures. 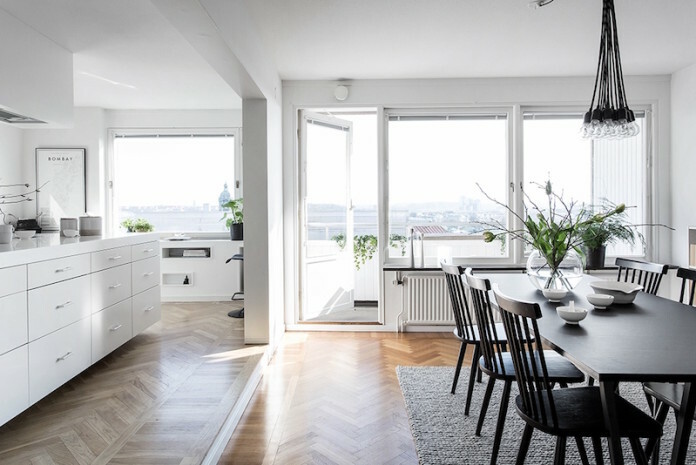 Dark tones, wooden flooring, twisted with lightness of white and natural tones, creating a cosy atmosphere for this Swedish apartment. 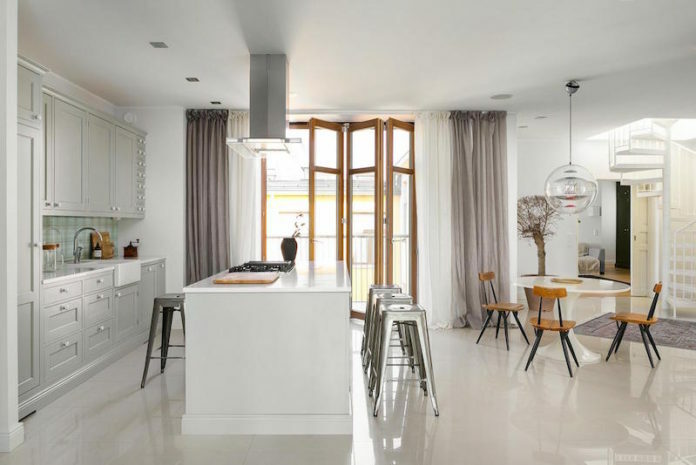 White main color gets a warm addition from the wooden flooring, while the dark furniture and colorful wallpaper in the kids room create a cosy atmosphere. 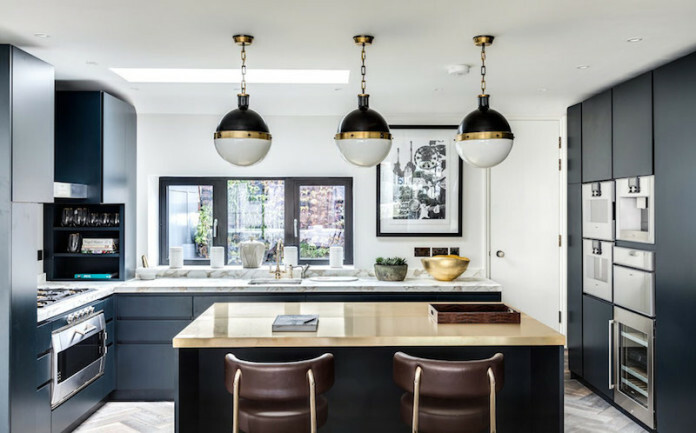 Luxury interior design with a contemporary style in a Hampstead apartment, in London, showing great design and decor details. 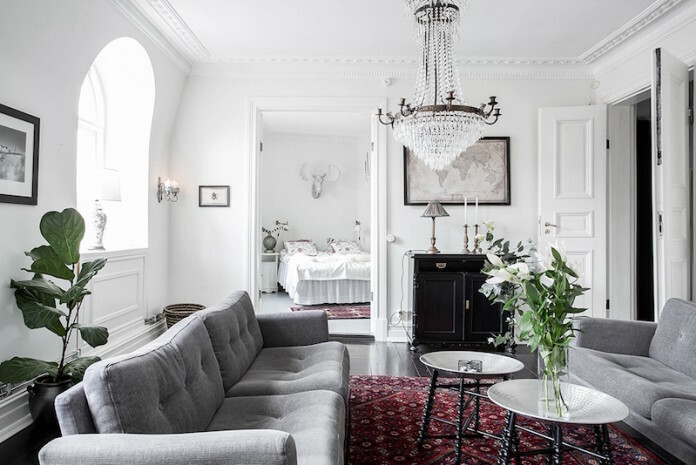 Beautiful Swedish apartment with a unique look and many personal decor details. 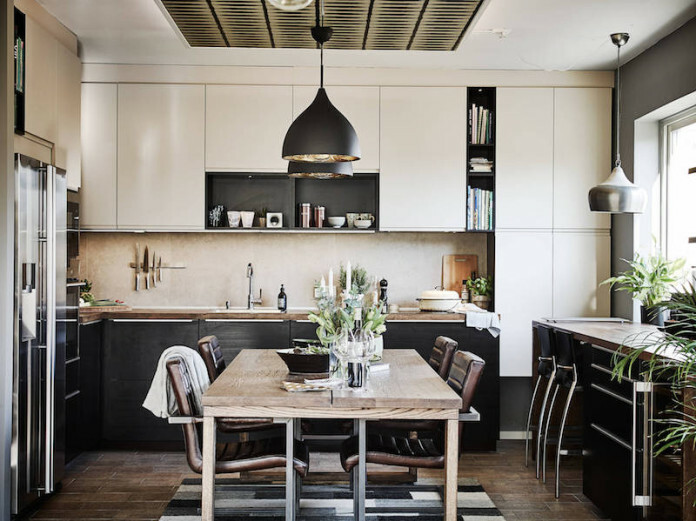 The warm atmosphere generates from the earthy natural color palette. 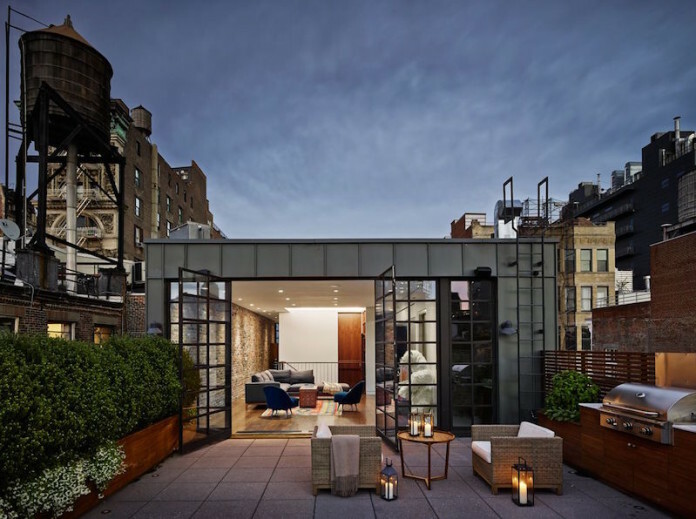 Manhattan apartment combining the rough surface of brick walls, timber beams and contemporary style of interior design. 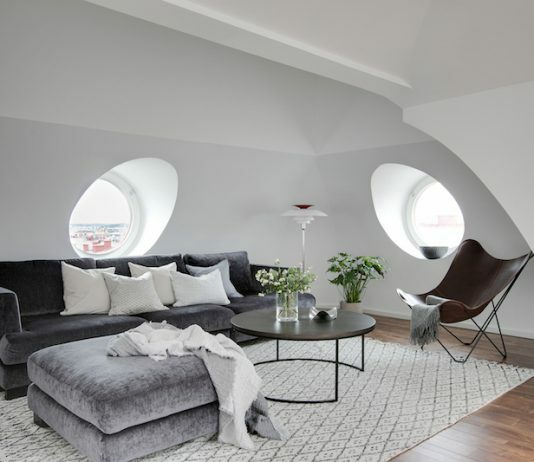 The modern black and white interior design of this city apartment has many interesting design details and color spots. 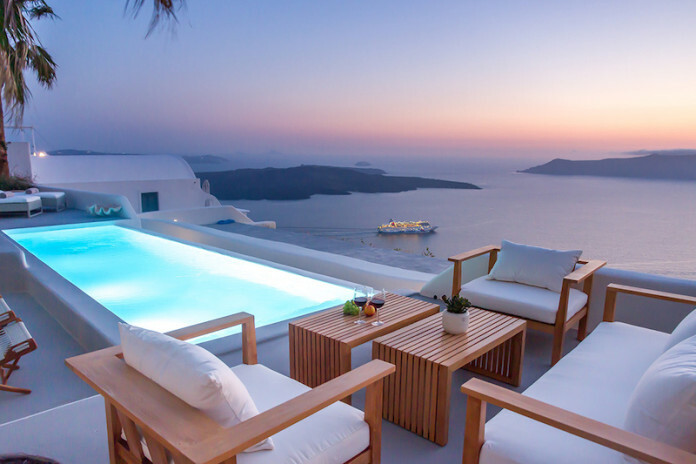 The Villa Aura in Santorini, Greece charms you with spectacular views over the sea and reveals an interesting interior design between warmth and cool.